Telemedicine, also known as telehealth, enables health care practitioners to effectively evaluate, diagnose, and treat patients remotely. Telemedicine leverages smart devices and electronic technologies (such as web conferencing and mobile applications) to provide an alternative mode of treatment to in-person clinic visits. With telemedicine, health care professionals can provide real-time treatment and care to their patients around the clock, in addition to offering their patients convenience, bettering patient follow-up and engagement, and reducing the number of missed appointments and cancellations. Telemedicine software can be utilized by any health care professional in any health care specialty. 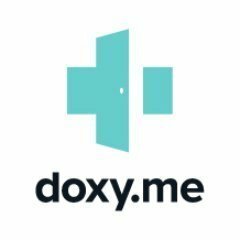 Telemedicine reviews by real, verified users. Find unbiased ratings on user satisfaction, features, and price based on the most reviews available anywhere. The simple, free & secure telemedicine solution®. We've made telemedicine simple and easy for you. Create your personal room and start practicing telemedicine today. 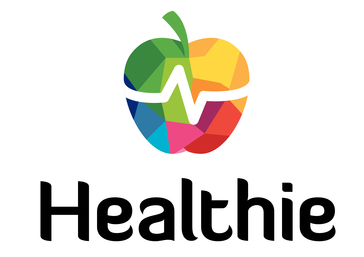 Healthie is a web and mobile platform for dietitians, nutritionists, health coaches, and other wellness professionals. Healthie is a comprehensive tool for practice management and telehealth, and includes core business features: scheduling, billing (out-of-pocket and insurance), charting (intake forms, e-signature, and note-templates), document sharing, secure messaging, client food logging, and more. Healthie is HIPAA, PIPEDA, GDPR, and PCI-compliant. Healthie has a no-commitment free trial. American Well is a cloud-based telemedicine management solution designed for practices of all sizes.Its primary feature includes a customizable telehealth application, doctor scheduling, and multiway video. Certintell makes telemedicine simple, secure, and convenient for providers, employers, health systems and patients. Coviu is a telehealth software solution that integrates with business workflows, particularly appointment bookings and payments. It also integrates with practice management software for patient record management. icliniq is a tele-health platform that connecting doctors and users, monetize free time in answering queries and phone calls from patients, increase online reputation, brand and referrals and publish articles to patients around the world. Spruce is a platform for communication and care outside of the exam room. With continuous visibility into each patient's health We guide and empower each patient, and connect them with the "right care at the right time". Offer your patients better access to care. Chiron Health helps physician practices provide convenient health care access for their patients through secure video visits – and receive full reimbursement. Virtual Practice is an application designed for doctors and healthcare providers for easier management of their practice, available as a web app and a mobile app (Android and iOS). With eNcounter, our white-labeled sofware platform, in your office, you can access all the features necessary to practice any form of virtual care. Whether you're a small medical office or a large healthcare organization, let GlobalMed help you build a successful telemedicine practice. eVisit is the telemedicine patient engagement software platform for small to medium sized healthcare provider practices. The system offers an innovative approach to caring for patients remotely and is designed to increase revenue, patient flow and practice productivity. A successful remote patient monitoring program improves outcomes by providing clinicians with daily visibility and insight into their patient's health, facilitating opportunities to proactively identify health concerns and intervene before they become more serious. Livecare is a company founded and operated by Doctors dedicated to giving patients access to quality, real-time healthcare, regardless of where they are located. Achieve single digit no-show rates and 90+% patient engagement rates with the best telemedicine, appointment reminders, digital patient intake, & patient self-scheduling software platform. M-Health applications incorporates the use of mobile devices in gathering community and clinical health data, delivery of healthcare information to providers, researchers, and patients, real-time monitoring of patient vital sign and direct provision of care (via mobile telemedicine). 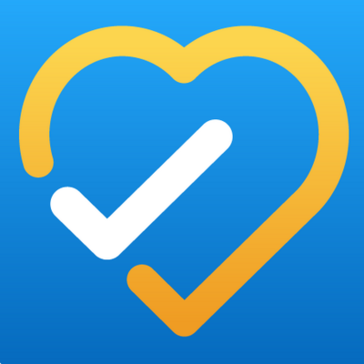 Netsmart Telehealth is a mobile and web technology platform that supports virtual clinical services, and helps build personal connections among individuals, care teams and family members. With Telehealth, fully integrated workflows within the electronic health record (EHR) support live healthcare visits, putting specialized care within reach during crises and expanding care options to existing clients. PARAS is a Patient Centric Comprehensive & Integrated Healthcare Delivery Platform conforming to clinical and administrative practices. PARAS covers the complete spectrum of patient care and fully integrated Enterprise class solution is designed to suit the needs of all kind healthcare providers like hospitals, clinics, laboratories, daycare centers, diagnostics, etc. PhysicianVisit is a patient scheduling self-service application that matches available resources to patient needs. Push Health enables doctors, medical providers and patients to connect virtually for concierge telemedicine care. The SnapMD Virtual Care Management platform gets you ready for it with a complete, turnkey virtual clinic. TeleDent is the only dental software platform designed specifically to help dentists, practices, specialists and public health programs easily and effectively add the benefits of teledentistry into their workflow. Dreamsoft4u's pool of Experts with a decade over experience of Telehealth provides services like monitoring and a clinical eHealth infrastructure for stocks that are looking forward to reduce healthcare costs and offer a superior care experience to clients through Telehealth solutions. We at TheraNow, set out to design a revolutionary new platform to help provide quality and best TeleRehab services in the comfort of patient’s home or office. VCDoctor is a HIPAA compliant Mobile Solution for doctors to engage their patients and provide better care by facilitating remote treatment to Chronic Care patients. VCDoctor bring patients and doctors together by facilitating video consultation and improved communication. Hi there! Can I help you find the best Telemedicine solutions?